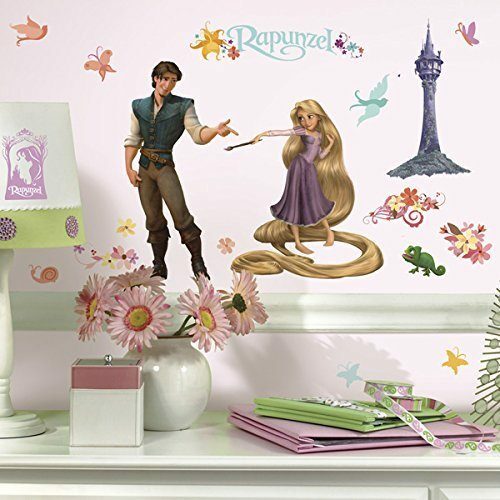 RoomMates Rapunzel Wall Decals Only $9.99 Plus FREE Shipping! You are here: Home / Great Deals / Amazon Deals / RoomMates Rapunzel Wall Decals Only $9.99 Plus FREE Shipping! Head over to Amazon to pick up this great deal on RoomMates Rapunzel Wall Decals for Only $9.99 Plus FREE Shipping! Easy to apply–just peel and stick. This 46 piece set is removable and repositions easily. Transform any room in minutes with RoomMates peel-and-stick decals — the easiest, fastest, and most affordable way to decorate any room or flat surface. Printed on clear material to allow edges to blend into walls, but inner portions of the design are opaque. Suitable for any wall color.